California startup Tribogenics is betting that their technology will transform health care–and investors seem to agree. X-ray machines traditionally use bulky power sources to generate rays. However, California startup Tribogenics is betting that a novel method of powering X-ray machines will revolutionize medical care and airport security. The best part? Tribogenics has already developed prototypes that fit in a pocket. 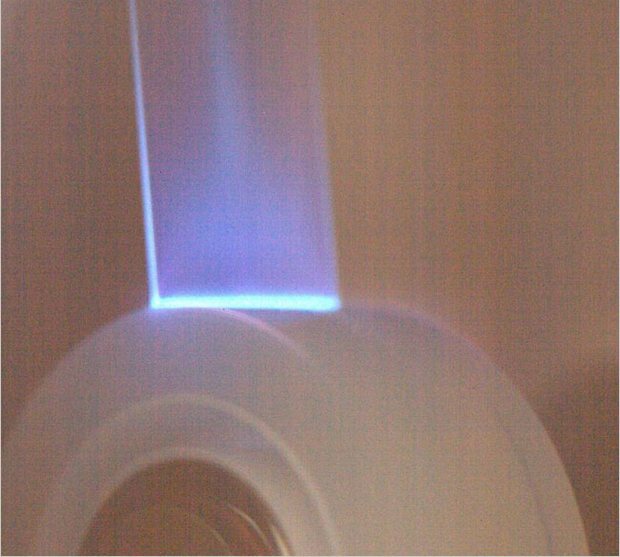 Tribogenics’ products rely on a counterintuitive discovery: X-rays are generated when unrolling Scotch tape in a vacuum. In a Nature article, UCLA researchers Carlos Camara, Juan Escobar, Jonathan Hird, and Seth Putterman detailed how Scotch tape can generate surprisingly large amounts of X-rays thanks to visible radiation generated by static electricity between two contacting surfaces. The research encountered challenges thanks to the fact that Scotch tape and generic brand adhesive tapes generated slightly different energy signatures; the composition of Scotch tape adhesive is a closely guarded 3M trade secret. Camara is Tribogenics’ chief scientist; the company is headed by Dale Fox, best known for developing the first screen overlay protectors for mobile phones. Fox told Fast Company that “every other X-ray source in the world uses a high-voltage transformer connected to a vacuum tube. In contrast, we’ve harnessed the power of the immense voltages in static electricity to create tiny, low-cost, battery-operated X-ray sources for the first time in history. It’s like the jump the electronics industry took when it moved from vacuum tubes to transistors.” According to Fox, Tribogenics has already developed X-ray energy sources the size of a USB memory stick. While Tribogenics representatives declined to discuss pricing for upcoming products, the firm “very comfortably” promised that the cost would be less than 10% than that of any existing X-ray technology. Tribogenics’ effort to bring products to market received a major boost on Tuesday, December 6, thanks to $2.5 million in funding received from Flywheel Ventures and an assortment of angel investors. The firm was founded in 2009 and appears to have completed the difficult step of finding commercial applications for pure research. The guts of Tribogenics’ ultra-portable X-ray machines can be traced, like so many other things, to DARPA. 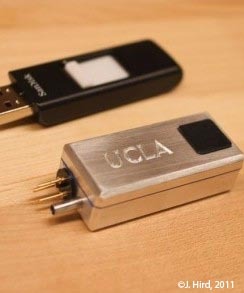 UCLA received research funding from the government agency in 2007; DARPA literature has detailed their hope that cheap, portable X-ray machines could revolutionize battlefield medicine, emergency first response, and airport security. Additional funding was received from the U.S. Army Telemedicine & Advanced Technology Research Center. The technology was later featured on the television show Mythbusters. While no commercial products have been released by Tribogenics yet, several prototypes show potential. 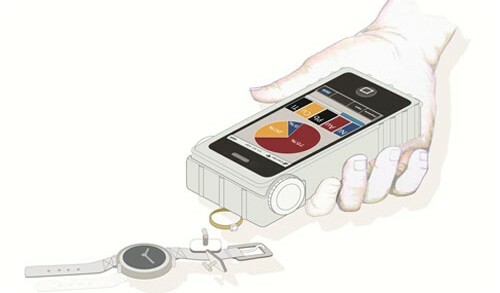 The company appears to be banking most of their hopes on a product called a Pocket XRF Analyzer (pictured), which representatives explicitly compared to a Star Trek tricorder. The XRF Analyzer, which is approximately the size of an iPhone, can identify gold or other precious jewels for jewelers, detect lead traces in toys, and can find traces of radioactive elements in airport security settings. However, ultra-portable X-ray machines show the greatest potential for becoming a disruptive medical technology. Tribogenics’ methods have revolutionary ramifications for catheterized radiation therapy, which currently poses significant radiation risks for patients, doctors, and nurses. According to Fox, the company’s products eliminate the need for radioactive isotopes. Release dates for Tribogenics products for the consumer market have not been announced; however, the firm claims that Pocket XRF Analyzers will drop to a price point affordable for the mass market–and not just for specialists. However, the firm will face challenges in transforming devices that generate large amounts of radiation into consumer products.